A large pair of French scroll back armchairs in original fabric, on pretty turned legs with original castors. 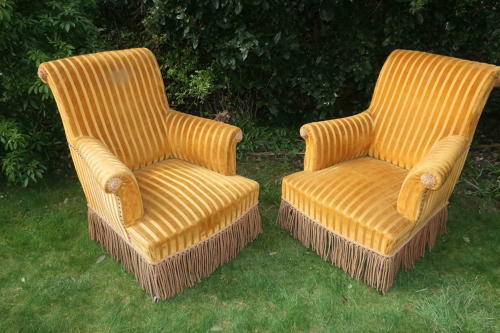 Very comfortable and in excellent condition, but could be upholstered in fabric of choice. Excellent proportions and with the desirable scroll back ,a great shape.